Heading back to the studio after the food-filled relaxation of Turkey Day weekend is always tough. Thank goodness, then, that Cyber Monday is here to make heading back to class feel just the slightest bit more bearable, with steeply discounted prices on all your favorite dancewear brands. That's why we've rounded up nine of the best Monday-only sales, just for you and your favorite dancers. Happy shopping! 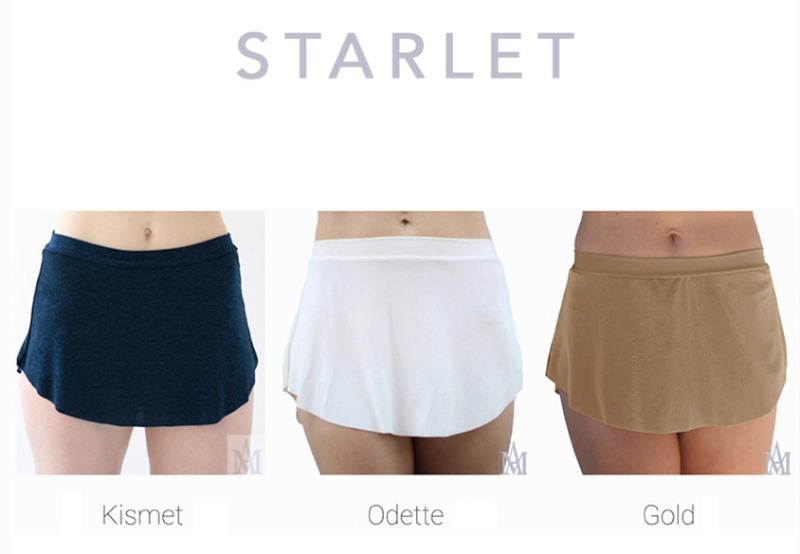 AMD has a terrific trifecta of special offers for today only: Free shipping on all domestic orders, 15% off your next order placed between January 1 and March 31, 2019, and a free AMD water bottle when you purchase the "Phoenix" or "Starlet" (shown above) three-skirt gift set. Everything on danskin.com (with the exception of the new Jenna Dewan collection and any items already marked Final Sale) can be yours at 50% off with coupon code CYBERWOW. Spending more than $100? You'll net an extra 10% off. With different levels of discounts across joandjax.com, you're sure to end up with a cart full of pleasant surprises. Ready, set, go! Hurry up and snag your free makeup palette with a $45 purchase from discountdance.com while supplies last. You'll get free shipping in the bargain—and a free leotard when you buy two from select styles. Now through December 1, use code HANAMI when purchasing a pair of Hanami shoes, and you'll get a free pair of tights. "Perfect pairing" much? In addition to certain items being half off their original price, you can get free shipping on orders over $50 when you use coupon code CYBER18. No excuse not to stock up! This one's a simple, sweet deal: Basically half off anything on soffe.com! Soffe's billing this as their biggest sale of the year, so don't hesitate if you were planning to load up on classroom basics. It's rare to find a sale on custom-fit items, but that's the beauty of Cyber Monday! Today, get 20% off former New York City Ballet dancer Ellen Warren's leotards, briefs, and calf warmers using code SMALLBIZ.